International students who studied at UK universities are overwhelmingly satisfied with their experiences in the UK. 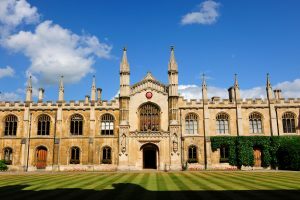 Data collected from the world’s largest survey of international students shows the UK is ranked first by international students for overall satisfaction, with 91% of international students across all levels of study (undergraduate, postgraduate taught and postgraduate research combined) reporting a positive experience. The International Student Barometer (ISB) has collected data from over 3 million students in more than 1,400 institutions across 33 countries. Their findings were released in a new report by Universities UK International (UUKi). The report is based on the feedback of over 137,000 students and examines the experiences of international students in the UK and key competitor nations – the USA, Canada, Australia, Germany and the Netherlands. According to the ISB data, international students said universities in the UK were their top pick due to their overall satisfaction, learning environment, arrival and orientation, living, and support services. These students said they would recommend the UK to others as a study destination. According to the research, the top five factors influencing undergraduate international students’ choice of study destination are institutions’ websites, family, friends, league tables and education agents. Nearly half of all international students from India and over 40% of Chinese students said that an education agent was an influence on their decision. Education agents made much less of an impact on students from Germany and the USA. Another rising influence among students choosing a study abroad destination is social media. The study found that 14% of international undergraduate students used a social networking site to help them choose where to study. This is up from 8% in 2012. It is good news for the UK economy that international students are positive about their study experiences and would encourage others to choose the UK for a study abroad destination. According to figures released in April 2017, international students generate more than £25 billion for the economy. Between 2014-2015, spending by international students reportedly supported 206,600 jobs in university towns and cities across the UK. Additionally, a recent ComRes survey found that two-thirds of British adults think international students have a positive impact on local economies of the towns and cities in which they study.